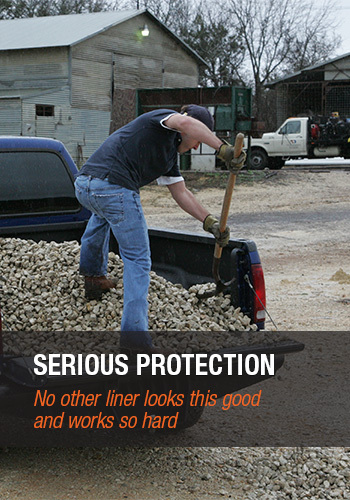 Time tested to withstand the toughest conditions, no other liner looks this good and works so hard. Our coatings can be sprayed onto virtually any type of equipment and substrate material, regardless of penetrations or shape. Our products combine the right mix of toughness, strength, flexibility, abrasion and cut resistance. 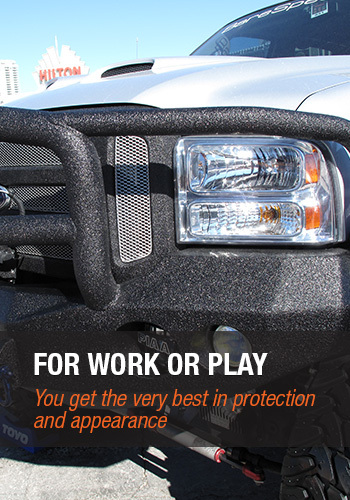 We use only the highest quality materials giving you the very best in protection and appearance. Fast set coatings from INDY LINER have revolutionized the protective coatings industry. It is environmentally friendly and unlike some lining materials contains no solvents or VOC’s and is totally odorless. Indy has been in the sprayed on bedliner business since 1998. Over the years, we have grown into a proud family of Authorized Indy Applicators across North America, built upon a foundation of integrity, innovation, quality and a dedication to customer service. 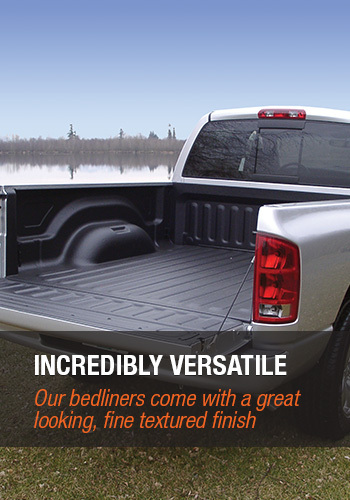 Give your truck the bedliner of choice. Our network of authorized Indy applicators can apply a long lasting, durable bed liner that will protect your truck bed for years to come. Using only state-of-the-art equipment, our trained applicators spray our exclusive, optimally balanced blend of Polyurea and Polyurethane material. Our spray process produces a slip resistant, fine textured liner. Our unique chemical formulation combines the right mix of toughness, strength, flexibility, abrasion and cut resistance adding up to the best, most attractive protection available for your valued truck. Copyright © 1998 - 2019. Pinnacle West Enterprises Inc.